Brabus is a tuning company that makes some awesome Mercedes kits. I’m not joking, they really do, especially the AMG based products are just exquisite. 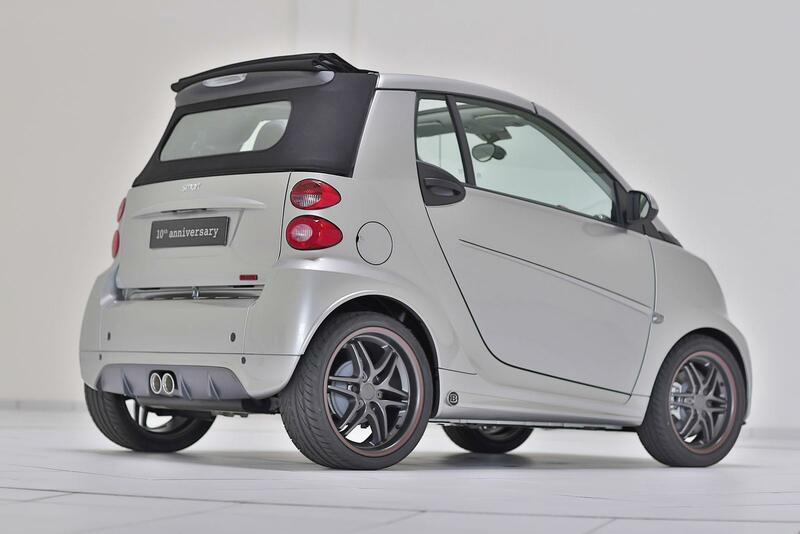 The only problem with Brabus is the fact that they make some kits for the little Smart city car, the ForTwo. If I’m honest these aren’t anywhere near impressive. Believe it or not, it’s actually been 10 years since the two German companies have started their collaboration and they’re quite eager to flaunt this. 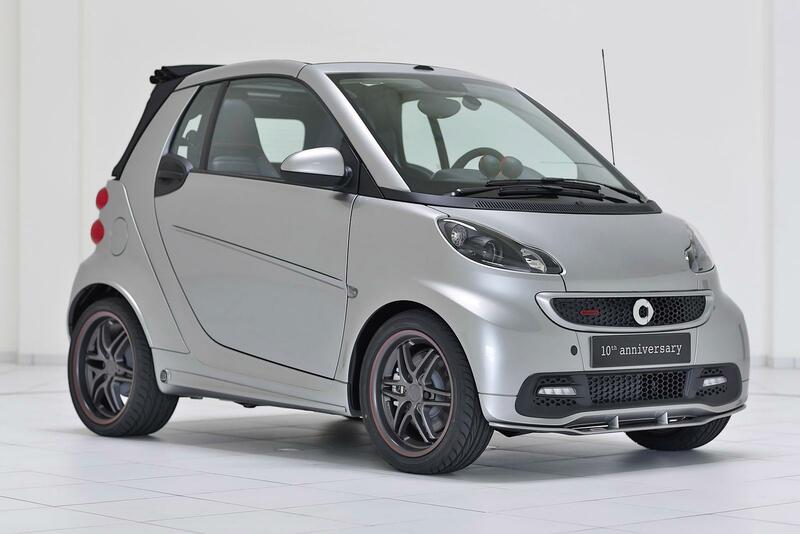 This is why they’ve announced a new anniversary edition of the Brabus Smart. Since it’s the 10th one they’re actually making some big deal out of it. And by it, I’m talking about the presentation since the car itself is actually less impressive than usual. This time, the engine retains its production version output of 100 horsepower and 108 lb-ft of torque. Truth be told that’s more than enough in town and it’s more than the Smart car could ever really need but that’s not what’s bothering me. The fact that this is a pitiful performance setup for a Brabus is what’s annoying me. An exterior painted in liquid silver teamed to black accents and matte grey alloy wheels is fine, quite impressive for a Smart but, again, not quite Brabus enough. The interior gets a bit of a treat. 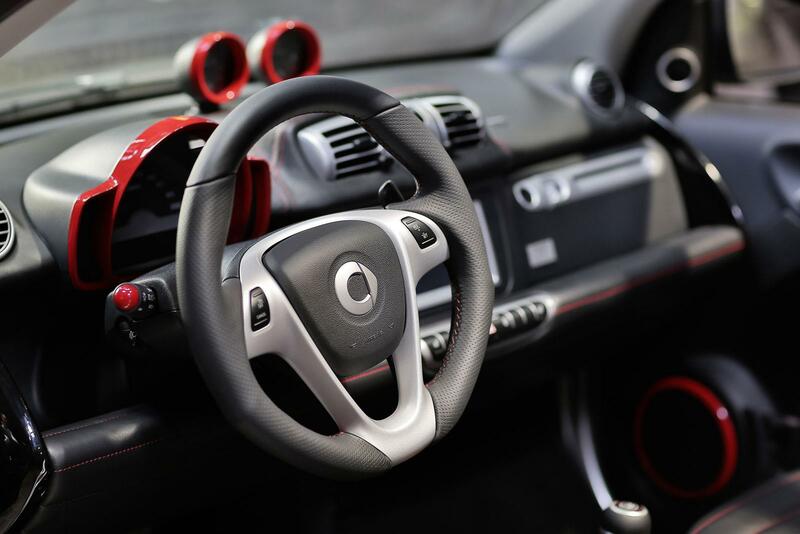 Not only is it based on the top spec option with heated seats, satellite navigation, the comfort and light packages but it also gets some Brabus upgrades. These include embroidered leather seats, some red painted trim and a custom plate with a unique number reserved for the 10th anniversary editions.